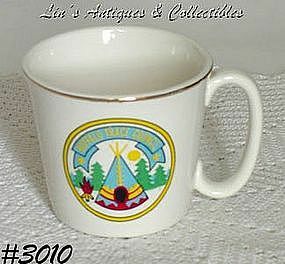 Mint condition Boy Scout mug by McCoy! This one commemorates the “Buffalo Trace Council”, has gold trim, measures 3 1/8” tall and has McCoy’s pitcher mark on bottom. Extra nice!